A two year programme to transform security at Heriot-Watt University campuses around the world, facilitated by CriticalArc’s SafeZone technology, has been recognised with one of the UK’s top security industry awards. 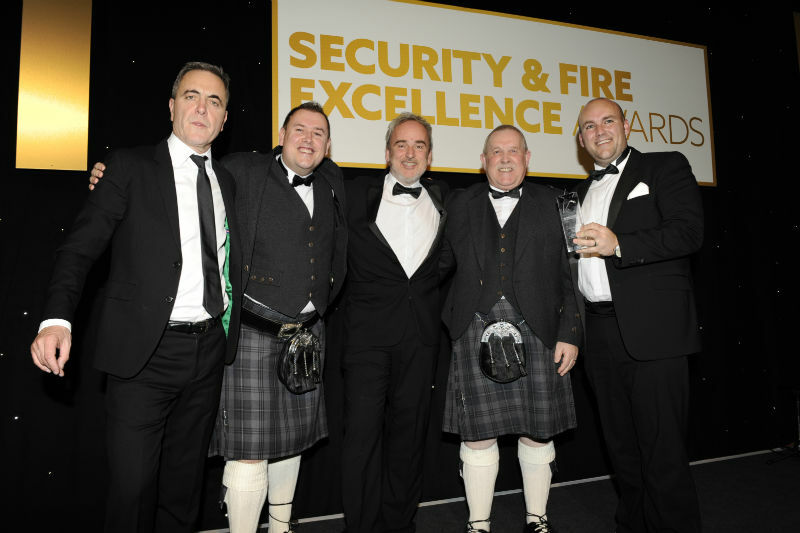 The innovative partnership between Heriot-Watt and CriticalArc has been named as ‘Security Project of the Year’ in the 2018 Security & Fire Excellence Awards, run in association with IFSEC International and Firex International. Two years ago, Les Allan, Heriot-Watt’s Director of Safety and Security Services, together with his team at the university, embarked on a strategy to transform all aspects of their operations. They wanted to modernise their service across five campuses, in the UK, Dubai and Malaysia, and provide much greater care for students and staff. It was an ambitious undertaking, but it has already delivered impressive results, measurably improving service response times by over fifty percent, upgrading security department capabilities and skills, and raising the motivation and professionalism of the officers involved. SafeZone technology is said to have transformed the way officers interact with students and staff wherever they are – on campus or when travelling off-site – so they can provide assistance in case of emergencies or other incidents. Les Allan’s team has already responded to serious medical emergencies using the system, and now they have the tools to manage a full range of live-incident risks. The Heriot-Watt team are also using their new technology to support staff and students on campus, while travelling and during fieldwork. They can ‘geo-fence’ additional areas as required. The result has been a significant improvement in engagement between the security department – now re-styled as Safeguarding Services – students and staff. Between 1 August 2017 and 31 July 2018, a total of 5398 security incidents were attended at the Edinburgh Campus (the first to adopt SafeZone); 3542 of these incidents (66%) involved assisting or interacting with students (rising from 33% in 2013). Keys as a Service – what should I be thinking about? Traditional access control has had to be managed from a physical computer located in a building. However, cloud-based access control solutions allows you to manage and control access for all of your buildings and sites from anywhere with internet access and on any device.